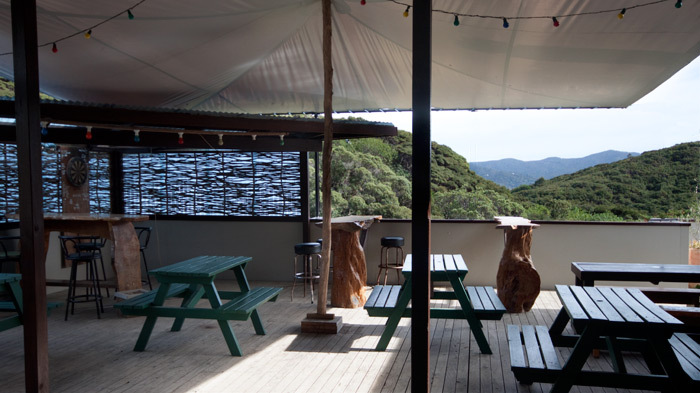 At Stray Possum Lodge’s Great Barrier Island restaurant and bar we provide a varied menu from inexpensive bar meals, BBQ nights and backpacker specials to a la carte and gourmet pizzas using organic and local produce where possible. All restaurant meals are home cooked and lovingly made! Eat inside in our colourfully painted dining room, in the warm if the weather is being unkind – or sit outside and enjoy the views from the covered deck. 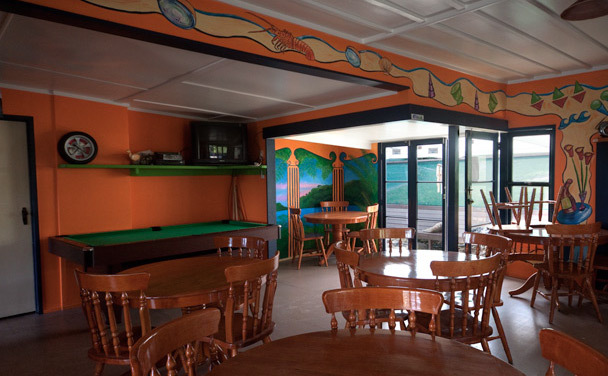 Stray Possum Lodge makes the perfect entertainment venue. If you are getting married Great Barrier Island has an endless choice of stunning locations for your wedding ceremony, please see our weddings page for how we can help. We also hold entertainment events such as live bands, DJs etc. For groups and weddings our restaurant provides set menus at discounted rates, or talk to us and design your own feast within your own budget. In winter when our Great Barrier Island restaurant closes for part of the week we are still happy to cook for our guests with a little warning. All restaurant meals subject to availability. Restaurant bookings essential. Contact us to make your group booking.